I’d planned on having this post up yesterday, however I was wiped out after the weekend. Hubby and I hosted two of the nephews for the weekend. We dropped them off yesterday morning and ran a few errands with our dog, Chewie. We came home and did a few hours of binge watching Wayward Pines (my latest binge watching addiction) on HULU and I was actually in bed by 6pm. I’m feeling much more rested and refreshed today after a good night sleep. I’ve got a blissful 3 days of my vacation reminaing and I’m taking full advantage by getting in some crafty time (and some much needed organization time). 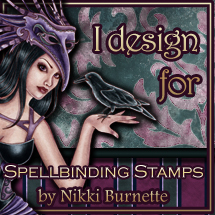 Working a full time 40+ Hour per week job along with my DT obligations for Dare 2B Artzy; it seems I don’t get much time to play with other companies stamps, inks and dies and make cards. So when I have time off, that’s what I try to work on. I’m sure many of you have already tried playing with Stamp Layering. There are several stamp companies that have some gorgeous layering stamp sets such as Altenew, WPlus9, The Ton and Hero Arts to name a few. I really love some of the beautiful flower line of layering stamps that Altenew has, however to be honest I was a bit intimidated by them. They seemed pretty complicated as many can be 3 or more layers to get all that beautiful dimension. So to get my feet wet with stamp layering, I decided to start with the Hero Arts Stamp layering set called Color Layering for You Flowers. Most stamps are 2 or 3 layers and the images aren’t so complicated that you can’t figure out how to line them up. I was totally inspired by the Hero Arts 2016 Color Layering Catalog and the gorgeous cards that their design team put together for the release of their layering sets. My favorite is the card designed by Kelly Rasmussen using the Color Layering for You Flowers. It’s just stunning. When I got my stamps I realized that I didn’t actually have very many inks that coordinated together to create the color layers so I ordered some of the ink cubes. I was lucky enough to find some on sale at Joann’s online and picked up the Hero Arts Blackboard set, Field Notes set and Kelly’s Flowers set. While I did play with the gorgeous, vibrant colors in the Kelly’s Flower set, I decided to try something a bit different for this card. Instead I decided to play with the Blackboard set. I wanted to see if I could create flowers in shades of gray and black with the stamp layering. While it’s not necessary to have a MISTI (Most Incredible Stamp Tool Invented) to use for stamp layering, I did find that it made the process a bit easier with regards to holding my stamped image in place and helped the placement for re-inking the image several times. I decided to do a step-by-step for this card so you can see the process of layering the stamps with the various inks I used. To create my card, I started of with stamping my solid flower background image with the Soft Granite ink color. I do find that with the Hero Arts dye inks that you need to stamp and re-ink a couple of times to get a good coverage. Next, I used the 2nd layer of the flower and positioned it so that it lined up with my stamp outline of the flower base. Making sure that the petals lined up nicely over the image. Once it was in place, I closed the cover to my MISTI and the stamp was ready to ink. For this layer I used the Charcoal colored ink. The Charcoal was a shade darker to add the shadows for the flower petals. Again, I stamped and re-inked and stamped again for the best coverage. For the final layer I used the 3rd stamp in the set (it’s the least solid) of the 3 main flower images. I positioned it over my stamped image so that the petals lined up. For this layer, the ink I used is called Unicorn. This will provide a light highlight to the petal tips of the flower. I stamped the Unicorn ink a second time to get even coverage over the gray layers. Here’s the final image with all the inked layers, ready to be die cut with the matching Hero Arts Color Layering For You Frame Cuts. The sample pics show the lighter flower. I repeated the same process using the darker colors in the Blackboard set, using the Charcoal as my base color, Black for the midtone and the Unicorn for the highlights once again. I created two of the darker flowers and one of the light and die cut them. The next step was to create the leaves. The leaves ony have a base color and then the highlight. For my leaves, I wanted a hint of color so I chose to use the Soft Granite mixed with the Tide Pool from the Kelly’s Flowers ink cubes. To mix, I stamped the base with the Soft Granite first and then did a layer of Tide Pool with another layer of Soft Granite. It gave me a soft, minty green color. For the shadow on the leaves I used the Charcoal. I created 3 sets of the leaves and die cut them. To put the card together, I die cut a large scalloped frame in a soft green from the Paper Smooches Scalloped Frames die set. I layered my frame on top of a light gray cardstock and adhered that with some dimensional foam to the black cardstock base. I positioned my flowers and leaves using some dimensional foam also with the lightest flower being placed in front. Next I used the sentiment, Just for You from the same stamp set and stamped with some black Versafine ink. For a finishing touch I added some white pearls to the card. When I started to create this card, I know in my head I was thinking gray and black flowers, hummm not so sure that this is going to work out, but it did and I’m happy with the result. If you like the idea of stamp layering, Hero Arts is a great place to start with their new line of layering stamps. They not only have these beautiful flowers, but they have birds, flamingos, pineapples, ice cream cones, etc. You can layer and stamp to your hearts content and create some really fun cards. They actually have some sets that include the stamp, ink and die (if available) which is a really nice way to start. You can check out all the sets here. Hope you enjoyed my card today.